Bathroom blogfest « Customers Rock! An important part of crafting a great customer experience is attention to detail. 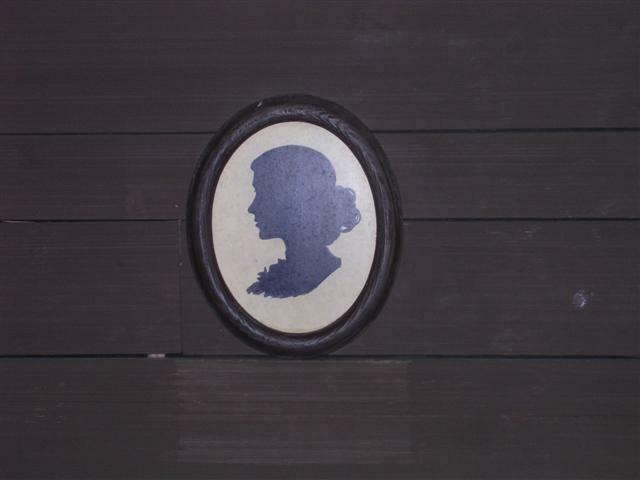 Today I am sharing some very creative signs which indicate the location of the bathroom door. They all align with the theming of the establishment or area in which they are found. Which one do you like best? 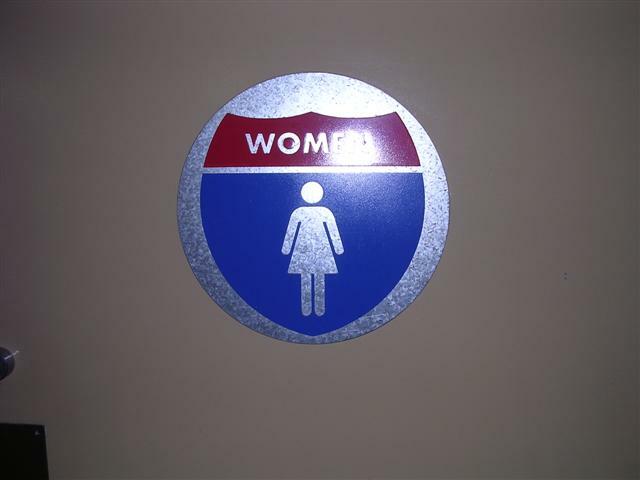 Disney’s California Adventure: This is the door sign that went with my earlier post on the Route 66 bathroom. It is shaped like a USA highway sign. Disneyland at Space Mountain: This sign is found on the women’s room door which is at the exit to the Space Mountain rollercoaster. 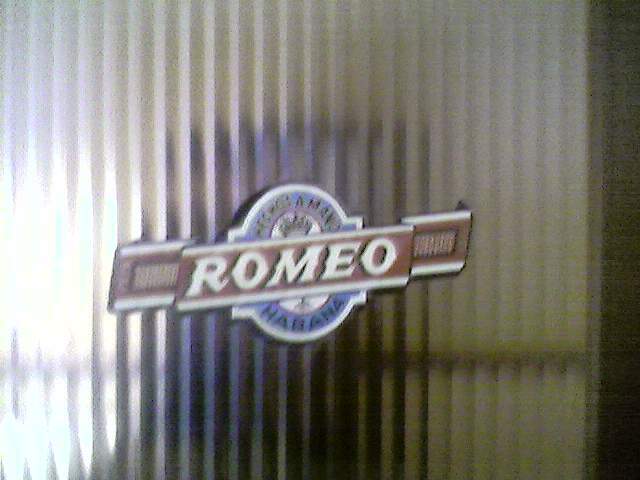 As the coaster has outer-space themes, so does the door. Good for large and small aliens to use. DisneyWorld at EPCOT World Showcase: In case you haven’t been to this Disney theme park, EPCOT in Orlando, Florida has two main areas. The first is FutureWorld, and the second is the World Showcase. Several countries are represented there. 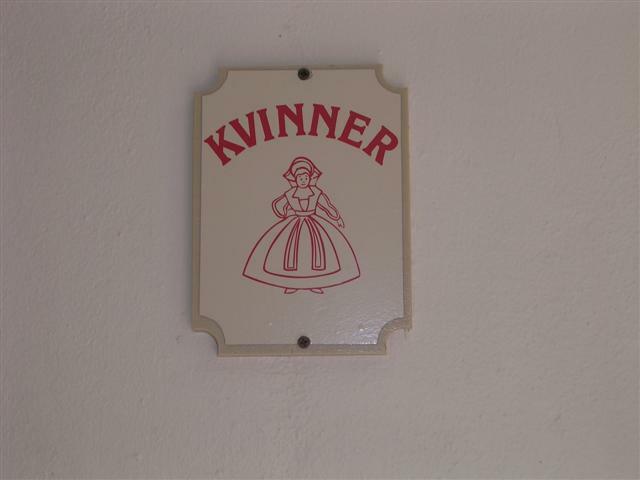 These two signs come from the Norwegian pavilion and the USA pavilion, respectively. 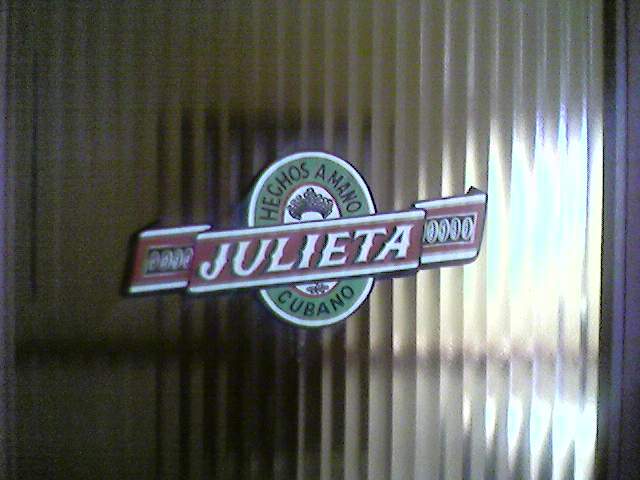 This restaurant serves Cuban cuisine in an Asian-fusion style. I couldn’t resist taking pictures of the doors to their men’s and women’s rooms (respectively). Clever! Have you considered how even the smallest of details can speak volumes about your establishment? I hope this blogfest has given you some ideas to consider. Who knows; maybe I will feature your bathroom in next year’s blogfest! Feel free to send me pictures throughout the year, and I will credit you and your establishment. Why are we looking at bathrooms this week? The customer experience truly spans all customer touchpoints, including the bathroom! If the experience is great throughout an establishment but the washroom is dirty, lacks supplies, or is unappealing, a customer’s impression of your brand will be affected. Disney has a very strong brand, and its bathrooms are generally kept very clean and tidy. Today I will show you a few pictures of exceptional bathrooms – luxury Disney. Ariel’s Grotto is a restaurant which serves what Disney calls “character meals”. In other words, this is the place to come if you want to meet the Disney characters while you eat. This particular restaurant is focused on those popular Disney princesses, and you can get your photo taken with Ariel (from the Little Mermaid). Right across from her beautifully-themed mermaid photo spot is this ladies room. Of course, it has the “children’s sink” which is lower than the other sinks, but its most striking aspect is the lighting. 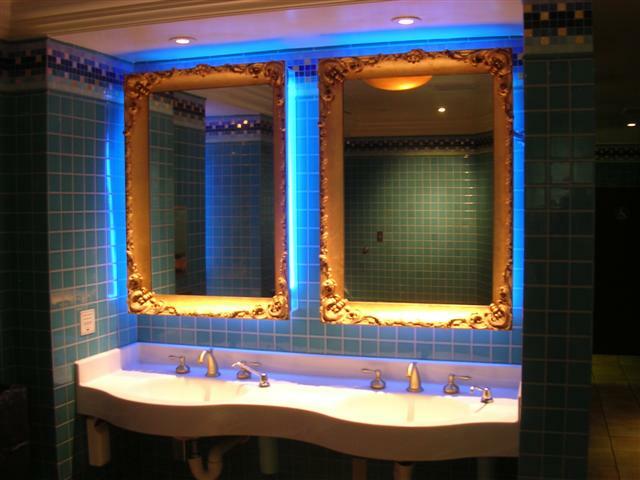 In order to achieve that “under the sea” effect, there is a blue glow which is emitted from the mirrors. 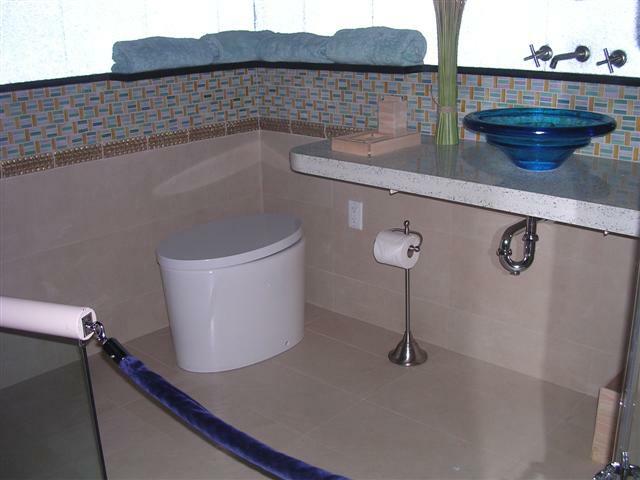 The bathroom in general is dimly-lit in the sink area so the blue glow can be seen. In addition, the bathroom is in shades of teals, green, and blue, and the mirrors are luxurious with gold and granite all around, fit for any little (or big) princess to use! Inside the Innoventions area of EPCOT at Disney World, you can take a tour of the House of Technology. This “house” shows off many futuristic ideas about how we can use technology in every day life – such as the room-darkening glass controlled by a touchscreen or the wall speakers (which are the wall!). One of the most interesting parts of the house was the bathroom. While Disney guests can’t use this bathroom, it is so visually-appealing that I had to share it! 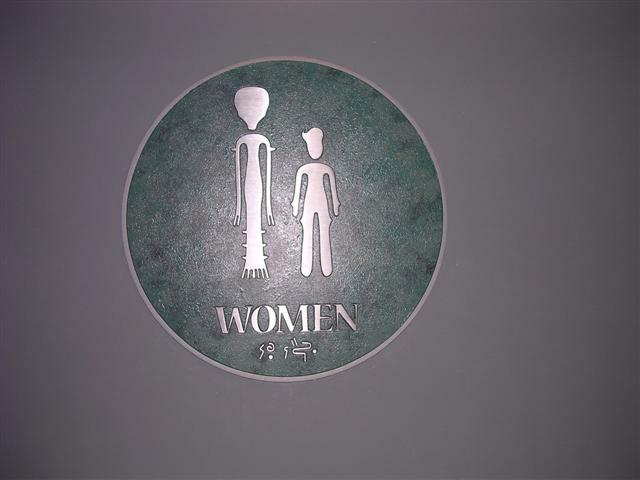 Tomorrow, I will share fun bathroom signs! The customer experience spans across all places a customer touches an organization: sales, marketing, customer service, and yes, even the bathroom! The Bathroom Blogfest takes place this week, and I am honored to be part of the contributing author list. As I am such a Disney fan, I decided my theme for bathroom posts this week would be Disney bathrooms. Some are themed in amazing ways, some have really fun door signs, and some are yet to come! I will begin the week with a fun, themed bathroom from Disney’s California Adventure park. Disney takes the experience of being in California all the way into the stalls (and I don’t mean traffic stalls!). 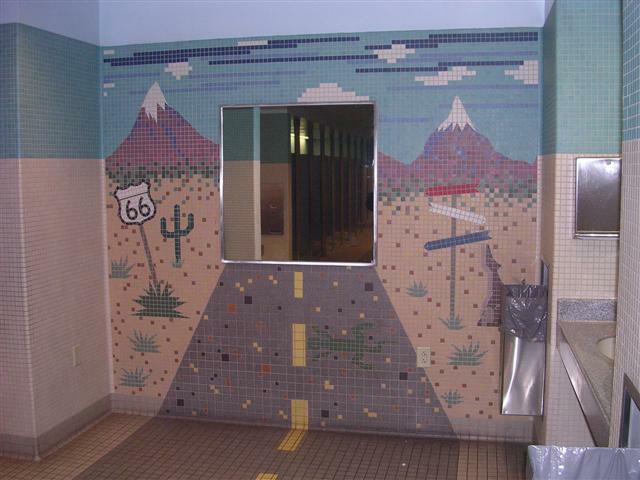 This part of the park is themed around the famous Route 66 road in the USA. 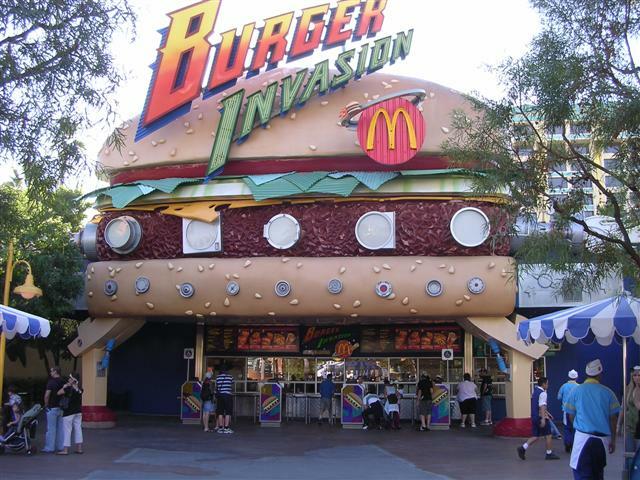 To set the stage (because Disney has a strong focus on their show): Just outside this particular restroom is a McDonald’s, disguised as a giant hamburger. It is similar to some of the giant icons seen on the roadside of Route 66. Inside, the theme is carried through all the way down the hall. The yellow lane markers guide you to the stalls, and in solid Disney fashion, you can see the lowered “kiddie” sink on the left hand side. This is great for the mom with the child who says, “I want to do it myself!” Plus, with a lower sink, the child doesn’t get their shirt all wet when mom has to lift them up to the faucet over the inevitably-wet counters. As you can also see, this bathroom is spotless. Last year about this time, I was preparing for my keynote speech for the British Columbia Association of Integrated Marketers. In talking about the customer experience, I wanted to mention all potential customer touchpoints that could impact how customers feel about an organization. I found Stephanie Weaver’s blog, experienceology, and asked her for permission to use some of the bathroom photos she had. This year, I am participating in the blogfest! Bathroom Blogfest 2007 runs from Sunday, October 28 through Friday, November 2. The blogfest features 22 bloggers from around the globe, writing about the importance of bathrooms in the customer experience, including photos of both the best and the worst bathrooms. To get an idea, here is the link to the wrap-up from last year’s blogfest. Be sure to check out the group blog listed above to see all the posts, as well as some amusing videos. 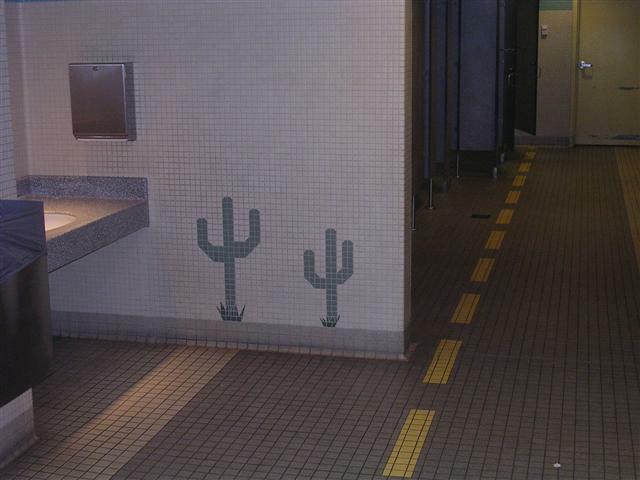 I will be posting on something a little unique – Disney bathrooms. 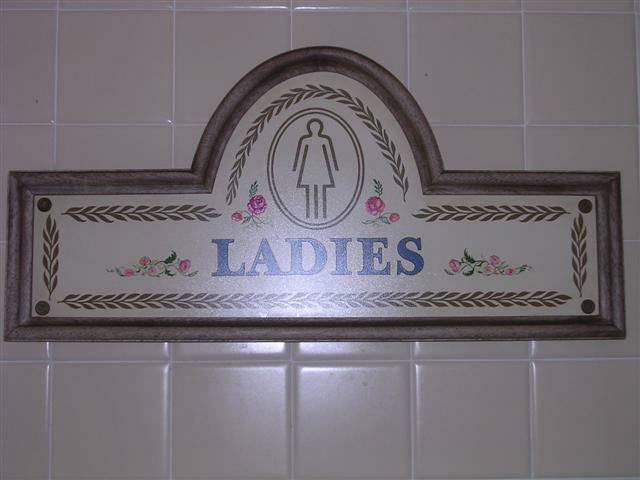 I have been doing my research, and I will be including bathrooms from Disneyland, Disney’s California Adventure, and hopefully, some bathrooms from Disney World (where I will be at the beginning of the blogfest). If you would like to contribute, please send me your photos and explanation to becky at petraconsultinggroup.com, and I will link to you and include them in the festival.